When I planned my trip to Uganda with Africa Adventure Safaris, I was so excited about the gorilla trek that I didn’t spend much time thinking about all of the other amazing adventures I was about to experience. That all changed when I arrived. The first full day in Uganda was spent trekking chimpanzees. 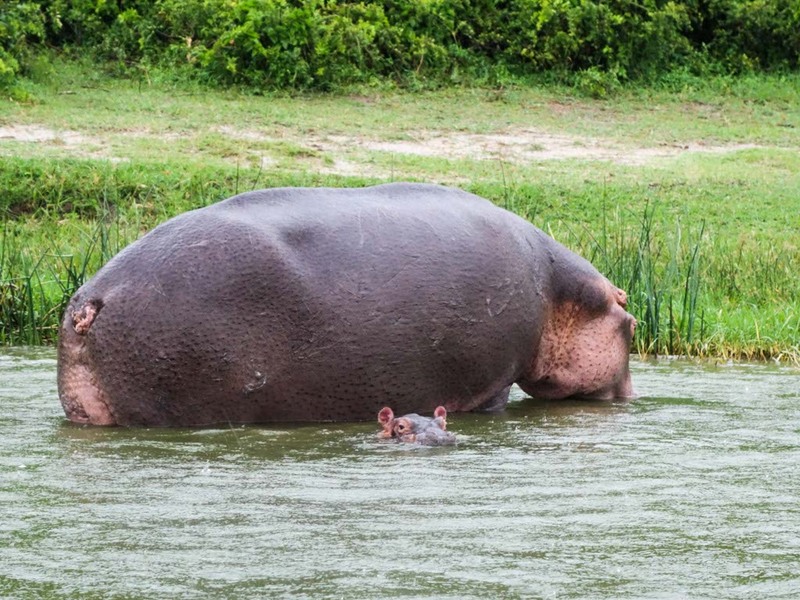 The next day I was on a boat cruise in Queen Elizabeth National Park searching for hippos, elephants, crocodiles, buffalo, and birds. It was a whirlwind of one unbelievable, new experience after another. 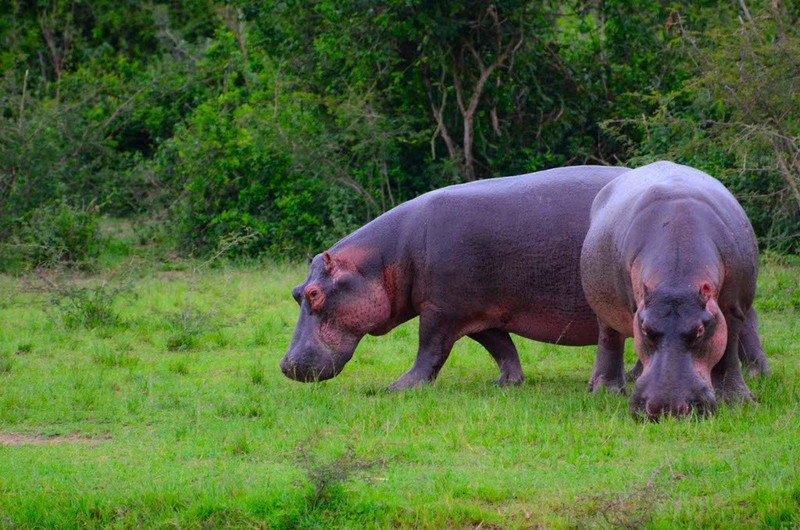 Although I’ve been on a safari before, I never saw hippos in the wild and it was on this year’s list. The actual experience was far greater than I imagined. The boat tour began at 3 PM. Luckily, it was a covered boat because the downpour of rain would have stopped us otherwise. It was like full buckets of rain were being thrown in my face as we departed the dock. Still, I wouldn’t put the side tarp down even though it had a plastic window that I could see through. I wanted an unobstructed view despite the rain. Within seconds from the departure, I saw an elephant and dozens of buffalo. They were so close to the boat and in their natural habitat. I wasn’t at a zoo and they were in an enclosure. No! This was the wild and they were roaming free. It was beautiful and energetic. Then, I spotted her. Like an iceberg, all I could see was the tip, but I knew the massiveness of what lay below the surface. Her big teeth waiting to chomp. She looked smooth and slick. I had never noticed that before. I wanted to see more. I didn’t have to wait long before I saw dozens of them. They grouped together with only their backs and head showing. Then I saw a huge mother half out of the water and a baby poking its head just above the surface. I imagined the damage even a baby could do or worse yet… an angry mother. 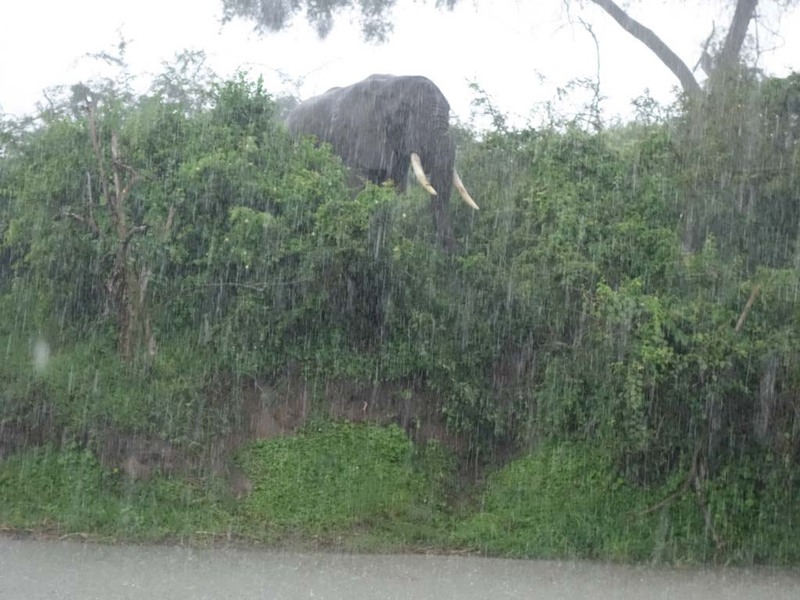 The rain stopped half way through the tour and more elephants appeared. 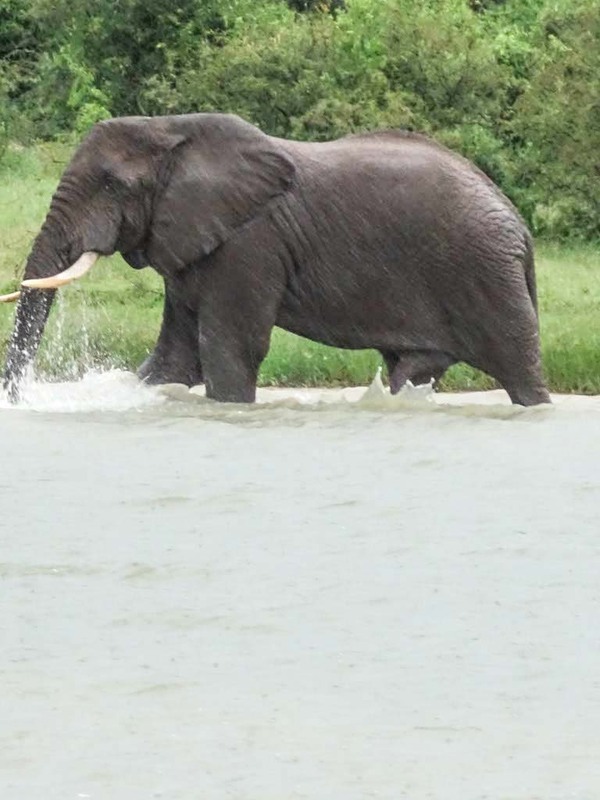 A male elephant, study the picture and you will know how I knew it was a male, sauntered leisurely through the water. He submerged himself and and rolled around spraying water from his truck. I can’t say what elephants think or if they feel emotions, but his actions appeared so free and content. It made me wonder if elephants in zoo act the same way. I will pay closer attention now that I know how they act in the wild. On the way back to the dock, my only wish was that Athena was there with me to experience the wildness of Queen Elizabeth National Park. It was free, unpredictable, and unrestricted. We couldn’t control the weather any more than we could control the animals. Although the rain put a little damper on our tour, I felt more connected with the experience because of it. This was the real Uganda. ***This trip was made possible because of Africa Adventure Safaris. All thoughts and opinions are my own as always. This entry was posted in Adventure, Africa, Travel, Uganda and tagged Africa, Africa Adventure Safaris, African Safari, bucketlist, family travel, Queen Elizabeth National Park, travel, Uganda, Uganda Safari by lesleycarter. Bookmark the permalink. Elephants are wonderful animals. There is an elephant sanctuary in my home state of Tennessee! Love the pictures and it would be fantastic even with the rain to see them in their natural habitat! Great holidays – wonderful photos! Thanks for a great boat ride and the scenery. 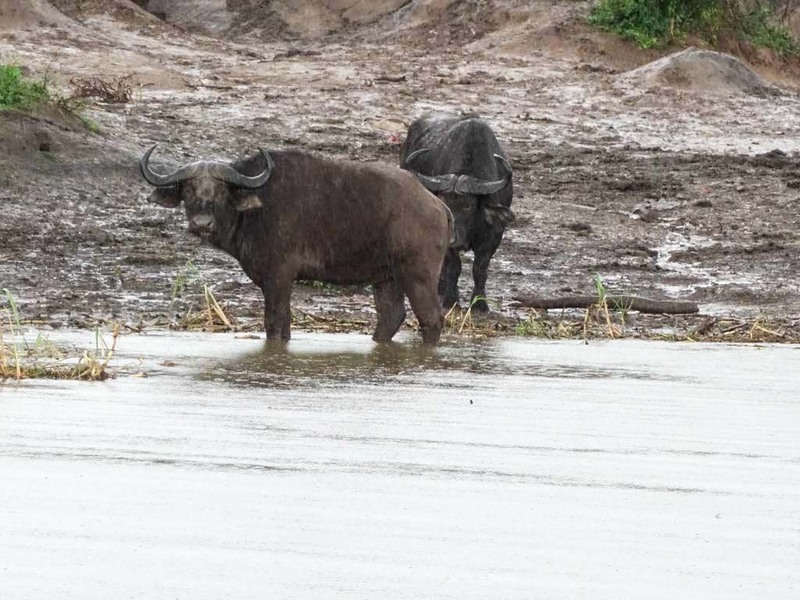 Amazing to see hippoes in the WILD. And to see a baby! Awesome. I love when there is one thing I focus on with a vacation, and how then the rest is such a pleasant, bonus-like surprise! I know just what you mean. This looks incredible, cant wait to go travelling! How amazing! Your photos and commentary gave me a small glimpse of what it is like to see these magnificent animals in the wild – thanks for sharing! 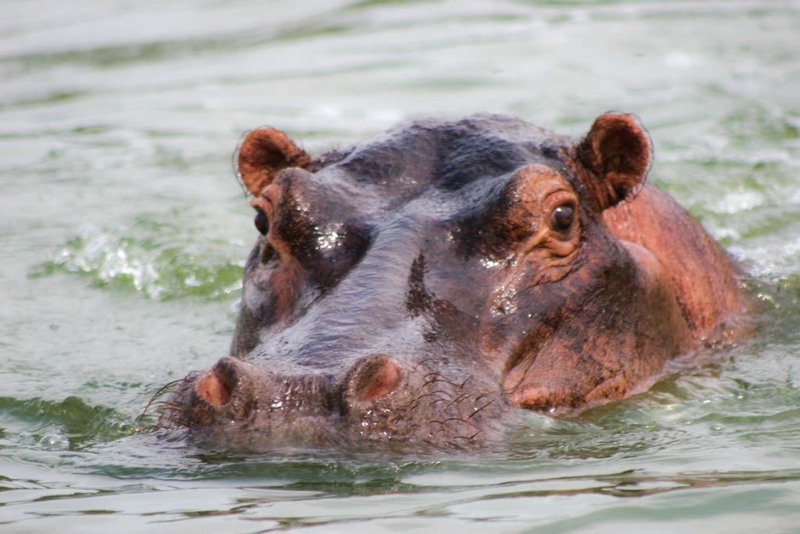 Love the pictures of the hippos! I always hear how dangerous they can be- I wonder what makes them decide to attack? Did your tour give any ideas? Wonderful animals! Nice even to see the rain. Wow! What an amazing time that must have been! Thank you for sharing pictures of these beautiful creatures. What an adventure! Your photos are amazing, and it’s awesome that your trip exceeded your expectations. This is amazingly awesome! I have always wanted to go on a safari like this- hopefully one day I can. Great post! Leslie, I spent 14 days in Africa in 2005, alone. It was an amazing trip and adventure… and the animals blew me away! It just doesn’t get old. Wonderful!